In 1922, explorers Howard Carter and Lord Carnarvon entered the tomb of ancient Egyptian king Tutankhamen after years of searching. No one had been inside for about 3,000 years! What the men found in King Tut's tomb was amazing: gold, riches, and historical artifacts beyond their wildest dreams. But as excavation of the tomb continued, strange things began to happen-and what started as a mosquito bite would soon leave Lord Carnarvon dead. When a famous author publicized an inscription found on Tut's tomb promising a swift death to all who entered the crypt, the rumor of a curse spread fast. People connected to the King Tut excavation soon began to fall ill and experience odd and horrifying deaths. But was it really a curse? The audiobook version of this graphic novel is just as gripping as its print counterpart. 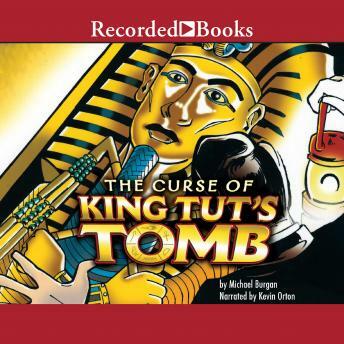 Many kids have heard that King Tut's tomb is cursed-but this audiobook will show them exactly how the rumors of a curse began.